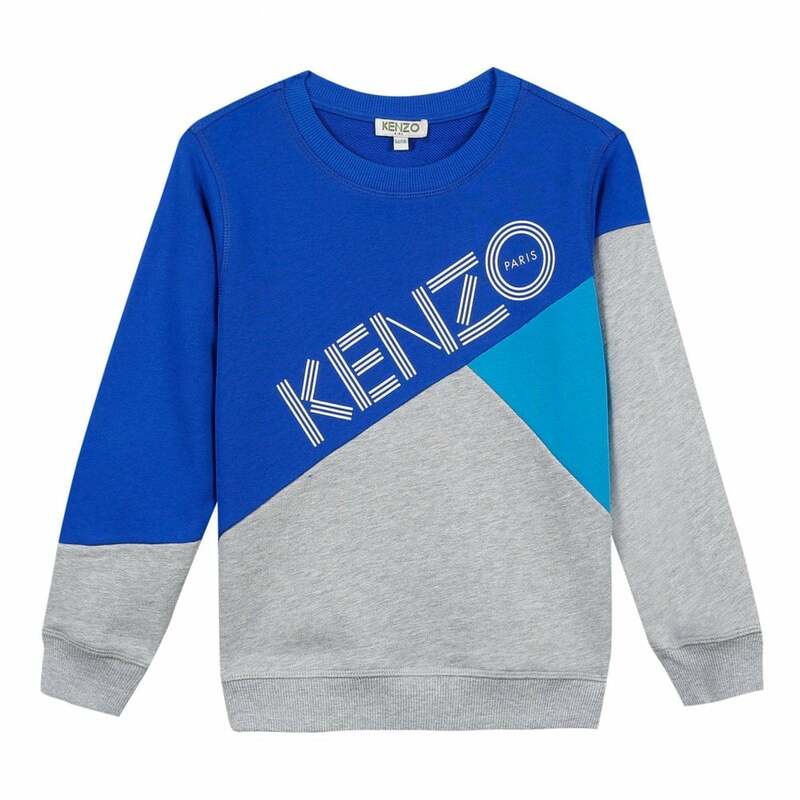 This Kenzo Kids Sport JB 6 Diagonal Sweatshirt is 100% cotton and has a bold grey, blue and navy diagonal design. It has a crew neck and long sleeves. The sleeve cuffs and hem are elasticated for a better bit. Kenzo Kids Paris branding appears rubber printed on the chest in white.